Are you undercharging? Do you find yourself frequently cutting your prices and accepting poorly paid work? 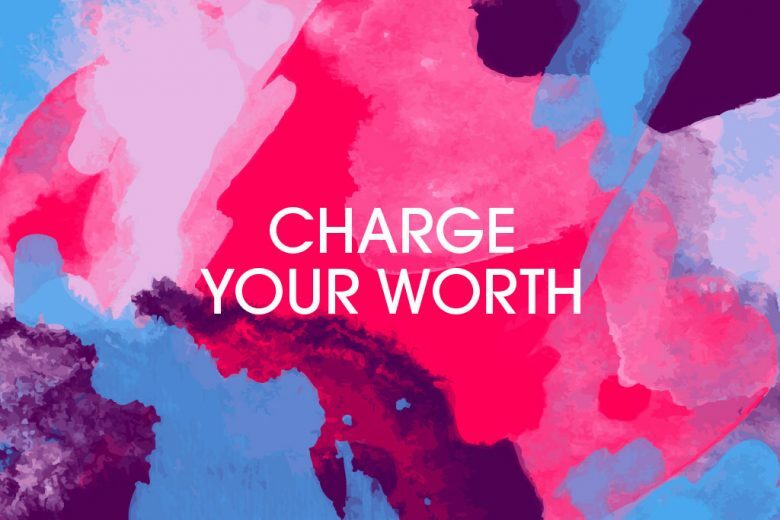 Discover the five secrets of confidently charging your worth. One of the biggest barriers that female freelancers and businesswomen come up against is setting their prices – and feeling confident charging what they or their work is worth. To help you overcome this limiting and frustrating barrier, coach and True Worth Expert Vanessa Ugatti shares her tips for charging your full value. Do you know your worth – and are you charging it? Are you a talented business lady who struggles when it comes to charging? If so, fear not, you’re definitely not alone. I struggled with that too. Maybe you don’t really know your value or perhaps you’re too modest or possibly you’re just not able to get your clients to understand the value you provide. No doubt, you’ve heard it before – focus on value, not on price. The question is are you doing that or not? I would hazard a guess that many businesses pay lip service to this, rather than really doing it. Fear dominates the world of commerce – there’s always someone willing to do it cheaper. So let’s get straight to the point – no procrastination or shilly-shallying; it’s time to make a decision and the sooner you make it the better. Let me reassure you that, whatever your problem is, it can be resolved. If you really want to learn how to charge what you’re worth, you can. And to help you. I’m sharing five of my secrets with you. It’s that simple! Make that decision and stick with it. If you do, you’ve successfully jumped over the first hurdle. Well done. How long did it take you to become proficient at what you do? Ask yourself what you actually do for your clients – that’s the features of your service. However, benefits are what the features of your service mean to the client. So to turn a feature into a benefit, you can add the words ‘which means that’. Nevertheless, if you don’t understand your own value, it will be unlikely that your clients will. Understanding your value is something which takes time and you also need to review it on a regular basis. If it’s the latter, then clearly you’re working with the wrong clients! Whatever service you offer, there will always be those who charge less and those who charge more; in fact, the range of prices may be extensive. Decide to only work with clients who really appreciate your offering and are willing to pay accordingly for it. This means that you must be willing to turn potential clients down who do not fit into this category. This may seem challenging at first; however, paradoxically, very often it turns out that clients who are particularly price-focussed are usually the ones who also are the most troublesome. By now, you may be feeling a little overwhelmed. If that’s the case, I apologise. However, I’m not one of those fluffy people who say this is going to be easy. If it was, everyone would be doing it. Rome wasn’t built in a day; you’ll need focus, patience and determination to get where you want to. Moreover, it’s not just about marketing and what you do practically; it’s also vital to work on yourself. If you fail to do this, you’ll potentially limit your earnings and feel frustrated into the bargain. One of my clients, let’s call her Anne, is proof of what I’m saying. She recently told me that because of the work we’ve been doing together, that she is now charging top fees to her clients and getting them, whereas before, that wasn’t happening. Even though there are others in the marketplace willing to charge significantly less, (their competence level may or may not be as good as hers) because she now understands her value, both consciously and unconsciously, and has no qualms stating her fees, she is able to charge her true worth. You can’t do this alone. Be willing to invest in yourself and your business. Investing in yourself will help you flourish. Find the right people to support you on your journey. And remember, asking for help is a strength and not a weakness. To claim your free report on How to Charge What You’re Worth and Get It, visit The True Worth Expert. You’ll also then be given an opportunity to access a complimentary copy of Vanessa’s Amazon Bestseller, True Worth, How to Charge What You’re Worth and Get It (just £2.99 p&p).